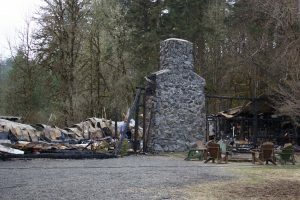 I’m sad to share that last night a fire destroyed the main lodge at Camp Lutherwood Oregon. Thankfully, no one was in the building at the time of the fire and all guests and staff are safe and without injury. A big thank you to the Lane Fire Authority for their quick response and diligent efforts to contain the fire. Thanks to the neighbors who called in to report the fire. The Lodge building has been declared a total loss, and the cause of the fire is unknown. We are working closely with the authorities to determine the cause and next steps. Camp Lutherwood’s board of directors has already notified our insurance company, and has begun making plans for how we will serve our guests in the immediate future; as well as how this will impact our long term plans. This is still a developing situation. We will be in touch shortly with all groups who have bookings in the coming weeks, and we will communicate with everyone to let you know of our immediate needs, and how this will impact our long-term plans. It’s too early to know exactly what will be needed; but any general donation you can send to Lutherwood today or in the coming weeks, will help ensure we navigate this unexpected interruption to our ministry and are ready to serve our guests again. Gifts can be made at our website lutherwoodoregon.org and click the “Donate” or “Give” buttons. Please specify that your donation is for fire recovery in the comments. Thank you for all your prayers and support at this time. Check out our summer schedule! Focus on the age group that best suites you, or view the whole schedule to match up which campers work best for your family. We are so excited to host a great summer program this year and can’t wait to have you join us on the adventures! Looking for a peaceful place for time away to host a conference, retreat, reunion, celebration, or banquet? Look no further than Camp Lutherwood Oregon! Groups from 15-200, camp is your place. Camp stays running… thanks to your help! Join us every Wednesday at camp from 9-3PM to help keep camp looking its best year-round. All are welcome! The Camp Lutherwood Association was held on Saturday, Jan. 26th, 2019, from 1-3PM at Good Shepherd Lutheran Church in Albany, Oregon. We are so grateful to everyone who attended and supported Camp Lutherwood Oregon! 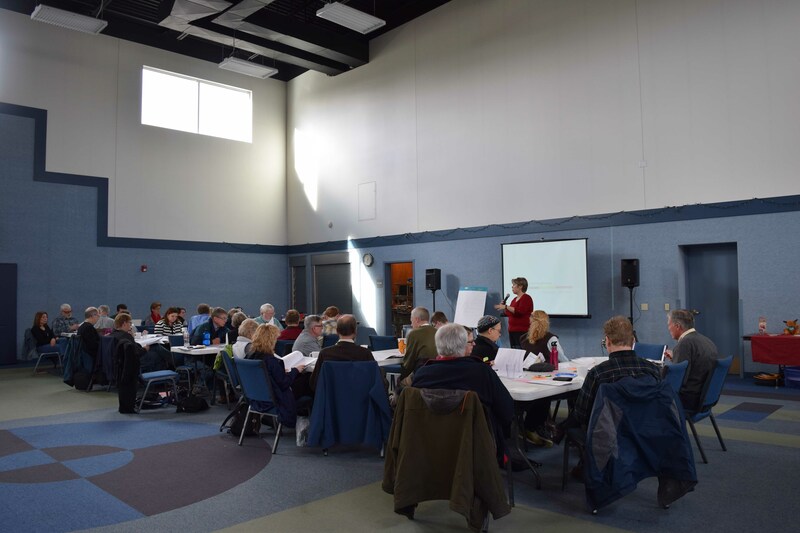 Every January, Camp Lutherwood association hosts its annual meeting, in which staff and board members present the camp’s status during the previous year, and association churches vote on the upcoming year’s budget and any other topics of interest. At the meeting, each church receives a hard copy of the Annual Report, which gives updates on the happenings of previous year. Click below to see an electronic copy of the 2018 Annual Report! Second Week Discount: Receive $25 off when you register for a second camp in the same summer. Third Week Discount: Receive $50 off when you register for a third week of camp in the same summer. Sibling Discount: If you register more than one child from the same family and household, each child after the first receives a $25 discount. The discount will be applied automatically. Discount does not apply to Mini Camp, Forest Retreat, Confirmation leaders, Women’s Retreat or Family Camp. Camp Lutherwood Oregon believes all kids should have the opportunity to attend camp. Yes, Lutherwood is open year round! You can bring your group or retreat to Lutherwood any time of the year!